This week the Splitcoaststampers Product Focus team is playing with Magic Stamps, courtesy of our friends at Clearsnap! 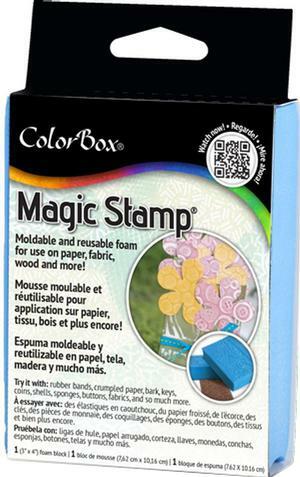 Magic Stamps are made of moldable foam, which will take the texture of anything pressed into it when heated. I actually started my first project by pressing my block into a piece of crumpled newsprint (I think it was actually from a Clearsnap package! 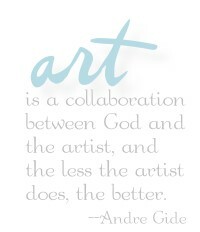 ), and this background is my favorite. With several layers of stamping with misted Distress Oxide ink, the texture in the stamp gave a beautiful marbled look. 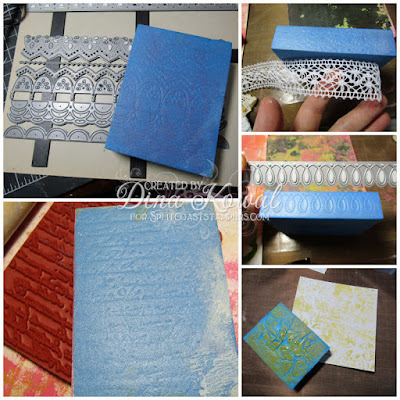 I tried a variety of surfaces, and used them all - other favorites were dies, stamps, and lace. My main project using the Magic Stamps was this stack of tags - I always tuck a tag in with my Etsy orders and I have been out for a while, so this was a perfect opportunity to restock. For some of the layers, I coated my Gelli Plate with acrylic paint, and then picked up paint with the block to stamp on the tags directly. Another technique with the Gelli Plate is to brayer the stamp with acrylic paint and stamp it onto the block. You can create several layers this way, letting them dry in between, and pull some really interesting prints afterwards! 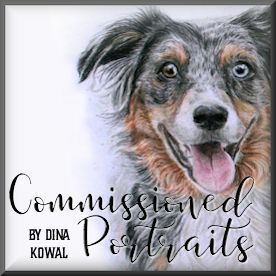 The background on my unicorn card was done using that technique - I will share that full card another day! That scripty background was created by pressing the Magic Stamp into a French script stamp - that's one of my favorite textures for a background, and it's pretty neat in the negative here. You can see in the photo the strength of the impression into the block - it doesn't make a very deep impression, but it's enough for stamping firmly on a flat surface. Here's another example done by pressing the block into several border dies - I'll share this card another day as well. I hope you'll take a look over at the team's reviews and amazing sample gallery! If you'd like to try out Magic Blocks, you can find them HERE!